Perry’s Computer Repair is located in Ocean View, Delaware. Our mission is to provide computer and laptop repairs in the comfort of one’s home and will travel to homes within an hour’s drive or more. We will also work remotely and do repairs from our website. My philosophy is to provide computer services to those over 65 who are most in need of speedy repairs. We offer a discount to those that are retired, return customers and to our business customers. We can also tutor you in your home in using your technology in Microsoft Windows 8, Office and other programs. We also offer advice on the selection and buying of computers, laptops and printers and can then setup your new technology in your home or office. 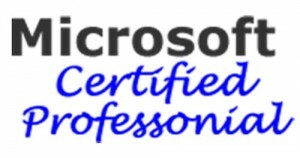 A Microsoft Certified Professional (MCP) is an individual who completes a professional certification program by Microsoft. Microsoft certifications train individuals on implementing Microsoft products into practical business environments. Because Perry is a certified Microsoft Systems Engineer, he specializes and has trained extensively in Microsoft operating systems. Perry now services Apple Computers, too. Now performing virus removal from phones. To provide computer and laptop repairs in the comfort of one’s home and will travel to homes within an hour’s drive or more. We will also work remotely and do repairs from our website.